2018 World Youth Modelship Sport competition. Information about the 2018 World Youth Modelship Competition, which is scheduled to take place from August 4th to August 10th 2018 in Warsaw / Poland. 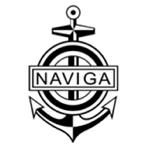 This is a very special competition, since it will be done in Naviga sections M, S, and NS. Please note: You are not expected to bring your own boats to the competition. You will get boat kits (radio included!) from the organizer! This is a perfect opportunity to bring your juniors with you to meet and compete with juniors of other countries! We welcome all the competitors, clubs , organizations and federations to join the competition.